DEPUTY Minister of Transport and Infrastructure Development Advocate Fortune Chasi came to the rescue of Chimurenga musician Thomas Mapfumo after he was kicked out of his Glen Lorne rented lodgings over rental arrears. It has been a horrific but humbling experience for Mukanya, who only two weeks ago boasted that only himself and the late Oliver Mtukudzi could be considered successful musicians known “overseas”. 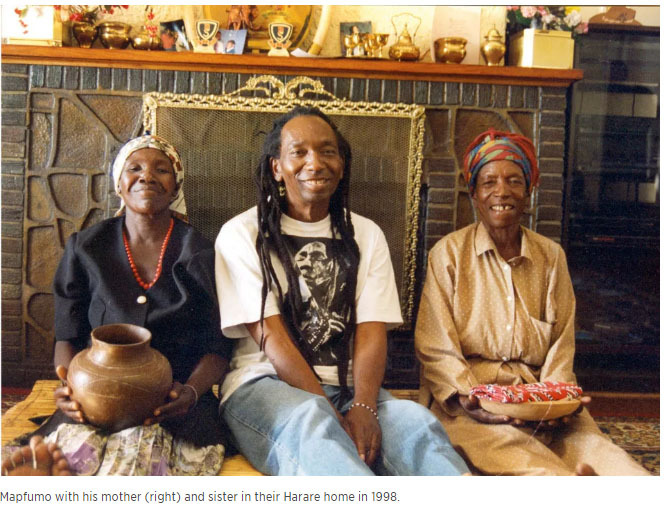 By his own admission, Mapfumo was rescued by Advocate Chasi who offered him a place to stay until Monday when he leaves for the United States. Reports said Mapfumo is in the red after accruing bills to the tune of US$10,000, but he insists he owes nobody a penny and that the rental arrears issue is between his show manager and the owner of the Glen Lorne property. He fumed: “I was shocked to read in the press that I had been chucked out for failure to pay rent which is not true. The rent issue was between Max (Mugaba) and the landlady who was owed US$1 600 by Max. Max Mugaba is Mapfumo’s shows manager who Mukanya claims vanished into thin air with all the proceeds from the shows. 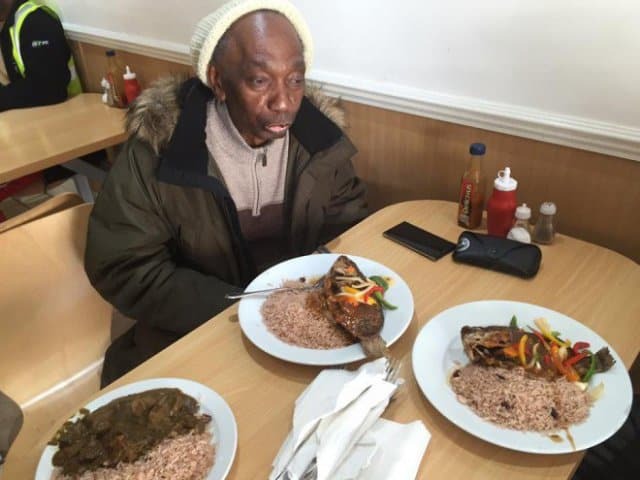 Known as Mukanya by his fans, Mapfumo has had a nightmarish tour of Zimbabwe after a promoter allegedly cheated him of all the money that he was supposed to receive from the takings of his many shows. This not only led to Mukanya being evicted from his Glen Lorne rented home for rental arrears, but it also left him hugely embarrased after having boastfully declared two weeks ago that only himself and the late Afro-Jazz icon Oliver Mtukudzi were the only successful musicians from Zimbabwe. It was then that Advocate Chasi saved the day for Mapfumo by offering him a place to stay until he leaves for Oregon, US, on Monday. But Mapfumo is not leaving without a fight. He wants to drag to court the journalist who broke the story. Said Mapfumo: “I am actually going to sue those people who are saying I am swimming in US$10 000 debt after my tour. I challenge the reporter to give me a list of the people I owe some money. “Today (yesterday), I actually called the writer of the story to tell me the people whom I owe money and they could not say anything. I even challenged the writer to accompany me to the lady who owns the Glen Lorne house to hear her side of the story, but he was not forthcoming. Revealing his ordeal in an interview with the local publication, H-Metro, Mukanya said: “When we came back home for this tour, we thought everything was in place. Our manager Austin Sibanda and Max Mugaba entered into an agreement where we were supposed to get 70 percent of the proceeds after sharing the costs with Max getting the remainder. “I sensed that something was wrong when we arrived in Zimbabwe after we learnt that our return air tickets had been cancelled since Max owed the travel agent some money. When we asked him, he said everything would be rectified and we decided to continue with the tour. Mapfumo said that as soon as he is settled back in the States he is going to take legal action against Mugaba. He also said he had cut ties with Vava as he had shown his true colours. General Chiwenga Has 140 Days to live?